Clementi, the artist and the businessman. At the end of 1790s Clementi, already a major artist and educationist in London and in Europe, decided to enter the business of music publishing and of pianos manufacturing and selling. 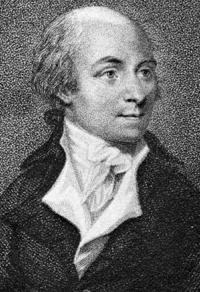 While the activity of pianos manufacturing in London received a fatal blow in 1807, caused by the destruction of one of his warehouses, Clementi's activity, as music publisher, flourished for many years, until in 1830 Clementi made his choice for a more private life with his family, through an official retirement. Clementi's music publishing firm started in 1798 with the name Longman, Clementi & Co. and had its main offices in London at 26 Cheapside and, from 1806, at 195 Tottenham Court Road. Clementi changed his business partners many times and so did the name of his firm change accordingly through the years. In 1830, when Clementi officially left business, his music publishing firm, in the end, changed its name once more and became Collard & Collard. Thanks to the Peace of Amiens of March 1802, Clementi had the possibility of preparing an important journey across Europe and this time more as a businessman and an educationist than as a composer or a performer. In summer 1802 Clementi left England with his pupil Field and started a long European journey lasted almost 8 years, until the summer 1810, when Clementi finally reached London back. The complicated and long journey of Clementi across Europe (Paris, Vienna, St. Petersburg, Berlin, Dresden, Prague, Leipzig, Riga, Rome, Milan etc.) was firstly accurately reconstructed by Clementi scholar Leon Plantinga, by discovering and publishing long lost documents. The most important business agreement struck by Clementi in this period was the deal with Beethoven (a great admirer of Clementi), who granted, to Clementi, full publishing rights to all of his music in England. A fundamental deal, which suddenly made Clementi, in 1807, the major supporter of Beethoven's music and one of the fundamental means of diffusion and promotion of Beethoven's music in England. Despite the fact that in many cases Clementi's work as Beethoven's editor and publisher in England was rather criticized, due to Clementi's various corrections to Beethoven's original manuscripts, Beethoven and Clementi maintained an extremely good relationship. Beethoven adored Clementi's piano music, always kept a volume of his music with him at hand and used to play Clementi's sonatas regularly. Furthermore Beethoven was highly convinced also of the educational, fundamental and correct technical value of Clementi's piano works for all those who had to study music. So, also as a teacher, Beethoven always recommended to everyone to play Clementi continuously and accurately and this method he used, in particular, with his own pupils and with his nephew Karl. And Czerny himself, as a teacher, used much Clementi when responsible for the piano instruction of his young pupil Franz Liszt. The second important deal struck by Clementi during his long European Tour was the one with Breitkopf & Härtel in Leipzig, which guaranteed his music firm in London various publishing rights and assured Clementi of the completion of their project of publishing Clementi's own piano opera omnia as a special Breitkopf & Härtel event. In this way, Clementi, as a published composer, in 1810s, reached the status of Haydn and Mozart, the only two other composers, who received the honour of having their piano opera omnia entirely published by Breitkopf & Härtel. We have already said how much Beethoven loved Clementi's piano works and used to play them regularly and how much Clementi's music had influenced Beethoven's one (see The Bugler, June 2017). 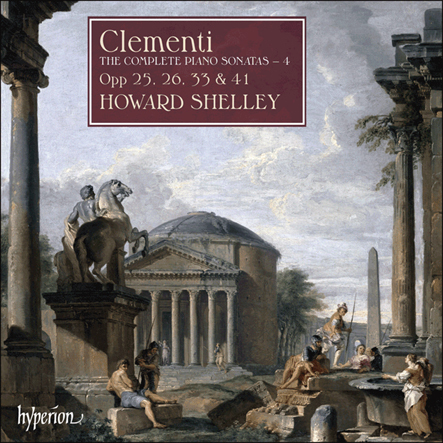 However, just few know that Beethoven had also a much beloved piece among the works by Clementi: Clementi's Piano Sonata Op. 25 No. 5 in F Sharp Minor.